A Cork born painter working primarily in abstraction, Tom Climent’s work is most recognisable through his subtle arrangement of colour and tonality. A graduate from Crawford College of Art and Design in 1994, he established himself early as an artist-to-be-watched with his sell-out graduate show causing a stir in Cork’s art world. 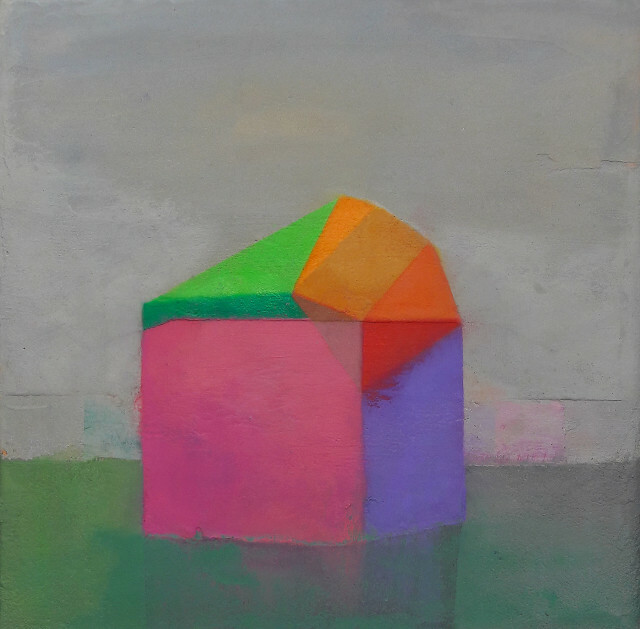 Since then he has continually evolved as painter, including a move from large sized works to include a smaller scale, working on panel as well as showing a greater emphasis on architectural forms. Climent is a recipient of the Ballinglen Arts Foundation Fellowship 2016, Cork City Council Individual Artists Bursary Award 2014, Working Art Grant 2014, Tony O’Malley Travel Award, Victor Treacy Award and a Department of Foreign Affairs Travel Award.